Rheem heat pumps are well-respected by HVAC pros for quality and dependability, especially the Rheem Prestige heat pumps. They’re compatible with other top lines such as Trane XL, Carrier Infinity and Dave Lennox Signature in quality, though efficiency levels are not as high in some models. Here is an overview of Rheem heat pump lines, how they differ and what they offer you as a consumer. Our goal is to give you information that will help you choose the right one for your purposes. Rheem Prestige Heat Pumps: These are the top of the line from Rheem. They offer good efficiency and performance. These are the models: Prestige RPRL-JEC (17 SEER/9.8 HSPF), Prestige RPNL-JEZ, RPQL-JEZ, and RPRL-JEZ (all up to 17 SEER/9.5 HSPF). As you compare heat pump models from the different manufacturers, you’ll see that the most efficient Prestige heat pumps are not as efficient as those from many other top brands. All are 2-stage heat pumps which means they run on low most of the time. This makes less noise and offers better climate controls. The low-capacity operation produces longer cycles that heat and cool more gently and produce more temperature balance in your home. Rheem Classic Heat Pumps: These second-best heat pumps are less efficient and better suited to milder climates. The models are the single-stage Classic RPQL-JAZ (15.5 SEER, 10.45 HSPF) and the single-stage Classic RPNL-JAZ (15 SEER, 9.1 HSPF). Both are Energy Star rated. Rheem Value Heat Pumps: Built for value, the most efficient of these single-stage heat pumps is Energy Star rated. The models are the Value 15PJL (15 SEER, 9.0 HSPF), the 14JM (14 SEER/8.2 HSPF) and the 13 PJL (13 SEER/7.7 HSPF). Which Rheem Heat Pump Should you Choose? If you want the indoor comfort of 2-stage heating and cooling, then the Prestige Series is the obvious choice. It’s the most energy-efficient line and also, not surprisingly, the most expensive. See our individual heat pump reviews for accurate, current heat pump prices for every model. 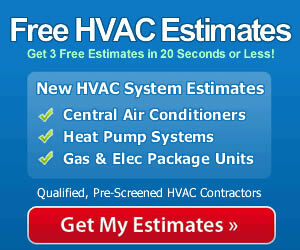 We include HVAC prices in all our reviews to give you complete data for your decision. The Rheem Classic heat pumps are ideal for moderate climates without extremely hot summers. The RPQL-JAZ with 10.45 HSPF heating is very impressive and a good choice for controlling energy use and cost where winters are quite chilly. The Rheem Value heat pumps are less efficient, so are more popular in climates without weather extremes such as the Pacific coast that stays moderate throughout the year. Again, specific Rheem heat pump prices can be found in our heat pump ratings and reviews. Here’s an approximate range that you can expect. Keep in mind that residential heat pumps come in sizes from 1.5 tons to 5.0 tons, so that accounts for much of the price differential. The Prestige heat pumps cost less than top lines such as Carrier Infinity and American Standard Platinum. For specific pricing, get multiple estimates from more than one qualified contractor in your area. These models are on par with the top models from second-tier companies like Heil, Ruud, Amana and Armstrong. These companies offer a very good alternative to the most expensive on the market. The same scale applies to Classic and Value Series heat pumps from Rheem. They do represent good value for those who don’t want to pay a premium for name on the side of the unit. All Rheem heat pumps offer good quality backed by warranties that are about average for the industry. Rheem has a service record in the upper third of all brands.